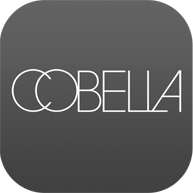 Cobella is always on the hunt for outstanding people. Whether you are a hairdresser or a nail technician, a colour guru or a celebrity facialist we would like to hear from you. As we continue to grow as a company we are looking for talented new employees to join our expanding team including stylists, colour technicians, graduates, beauty therapists, receptionists, managers, assistants, trainers and office staff. We offer excellent working conditions, ongoing training, staff incentive schemes with a fun stimulating and creative environment. If you are a hard worker, have a sense of humour and would like to be part of the success of a growing company then we want to hear from you.